Conference planning & speaking — Jessica M. Dolan, Ph.D. Conferences and workshops are great ways to share academic and professional research, strengthening public education and the quality and relevance of research at the same time. I believe strongly that community events, service, activism and advocacy are all powerful contexts of experiential learning. In academic service, I have served as elected North American representative on the board of the International Society of Ethnobiology from 2012-2014, and was part of the planning committee for the 40th annual Society of Ethnobiology Conference, which was held in Montréal in 2017. Below you will find some events I've either spoken at or organized, bringing together university researchers, community members, professionals from NGO's, leaders, and policy makers. In 2016-2017, I served as one of the coordinators of the Society of Ethnobiology Conference, which we held in Montréal at the Jardin Botanique de Montréal. This conference brought together 180 people from all around the world, to speak listen and learn on theme of Ethics, Advocacy, and Allyship in Ethnobiology. 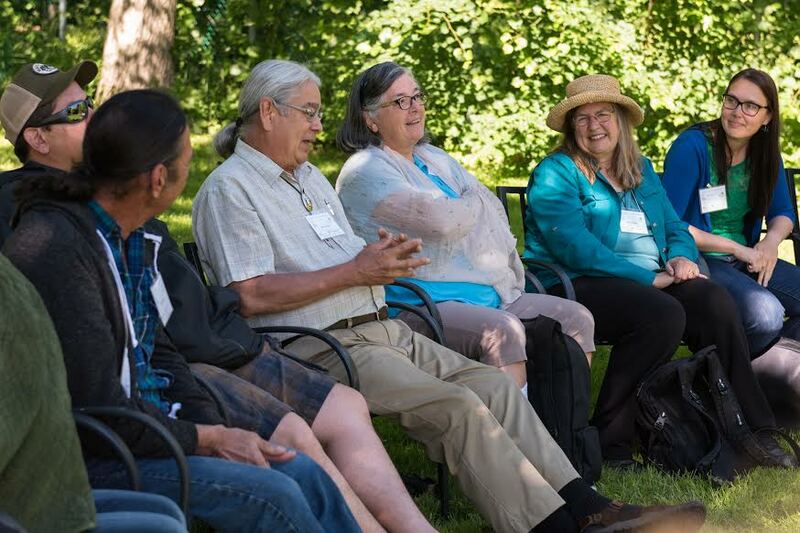 The Kanienkehà:ka (Mohawk) Nation hosted us on their land, and as such, conference-goers were treated to many meaningful Haudenosaunee contributions. I worked with friends and colleagues from the Mohawk communities of Akwesasne, Kanesatake and Kahnawà:ke to plan different elements of the ethnobiology conference, to decolonize the academy and ensure that there was strong Indigenous and Haudenosaunee representation there. We planned a panel on "Haudenosaunee Perspectives on Environmental Responsibilities" in which participants of the Akwesasne Cultural Restoration Program presented at the conference. An elder, educator and ceremonialist from the Mohawk Trail Longhouse in Kahnawà:ke opened and closed the conference, and he and a master basket maker from the community hosted a very meaningful field trip there. The beautiful conference logo was created by Mohawk artists Alyssa Severn; the banquet was catered by Kahnawà:ke catering company Kwe Kwe Gourmet; and conference-goers were treated to traditional Haudenosaunee songs and social dances by a young singing society. Another highlight of the conference was the keynote delivered by ethnobotanist, professor, and water protector Linda Black Elk. The Society of Ethnobiology has been taking many concrete steps to participate in ongoing efforts to decolonize studies of traditional and Indigenous sciences, cultures, and knowledge systems. In 2015, the Global Diversity Foundation hired me to plan a conference for Indigenous environmental stewards, the North American Community Environmental Leadership Exchange (NACELE). The theme of the conference was "Nourishing Relations: People, Plants, and Place" and it was held at the Montréal Botanical Garden. 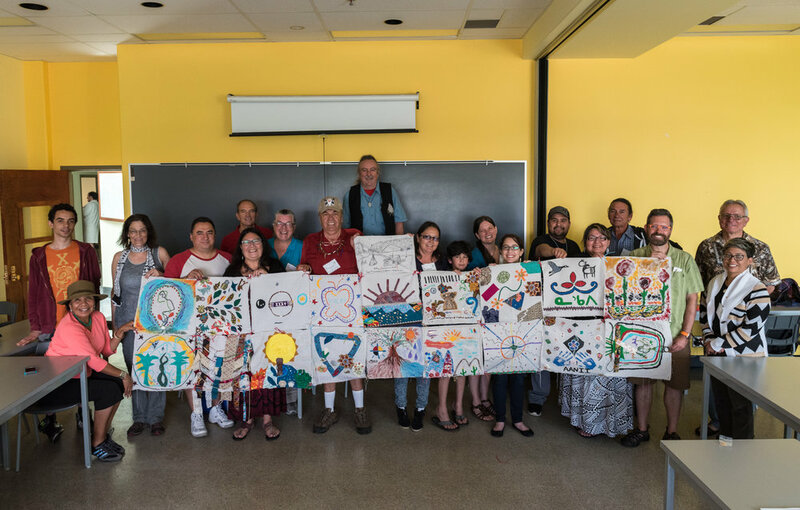 About 45 Indigenous academics, environmental leaders, community stewards, elders, artists, and students from Indigenous Nations all over North America gathered for NACELE. Because the conference was located in Mohawk territory, we planned a special emphasis on the traditional knowledge, and current environmental projects and concerns of people from Kahnawà:ke, Akwesasne, and Kanesatake. NACELE featured a day-long field trip to Kahnawà:ke to learn about that community, listen to environmental professionals there, view a black ash basket demonstration, and have a feast and a social in the Mohawk Trail Longhouse. I was thrilled that SSHRC (Social Science and Humanities Research Council of Canada), the Cultural Conservancy, Friends of the Montreal Botanical Garden, and Quebec Centre for Biodiversity Science supported this conference, making it possible for the Global Diversity Foundation team to cover the majority of the costs for all 45 participants to attend the leadership exchange. Many connections were made, that have continued through visiting and collaboration across North America, and around the world. To learn more, please follow this link: http://www.global-diversity.org/north-american-environmental-leaders-share-research-strategies-and-tactics/. In January 2013, I was asked to speak at McGill University about what was happening in Canada with Bill C-45 and First Nations. In addition to speaking in a class about it, I decided to participate in the movement sweeping across Canada called Idle No More, by organizing a teach-in. I worked with the First People's House, the Anthropology Department, the Indigenous Student Alliance, the Office of the Dean of Students, and the Office of Students with Disabilities at McGill. Together we created a series of Idle No More teach-ins at McGill University, which we called Idle No More McGill. The first one was called "Misconceptions in the Media." It was held at the university, but open to the public, featured four speakers, and nearly 200 people were in attendance. Wilfred Laurier University then asked me to come and speak at two of their teach-in's in March and April. You can access notes from the talks I gave during Idle No More HERE.